Refreshing Frozen Coke® under our signature soft serve. 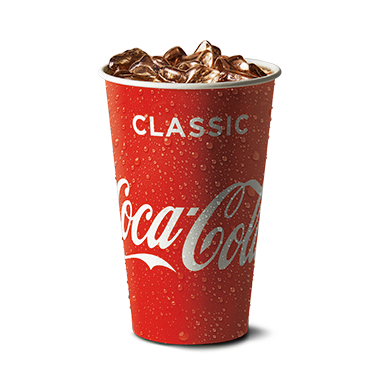 ‘Frozen Coke’ is a trade mark of The Coca-Cola Company. FROZEN COCA COLA: Carbonated Water, Sugar, Colour (150d), Food Acid (338), Flavour, Caffeine . Milk, Sugar, Cream, Water, Maltodextrin (from maize and tapioca), Dextrose (from maize), Milk Solids, Vegetable Gums (412, 407, 466, 407a), Emulsifiers (471, 433), Flavour, Mineral Salt (339), Food Acids (330, 331).